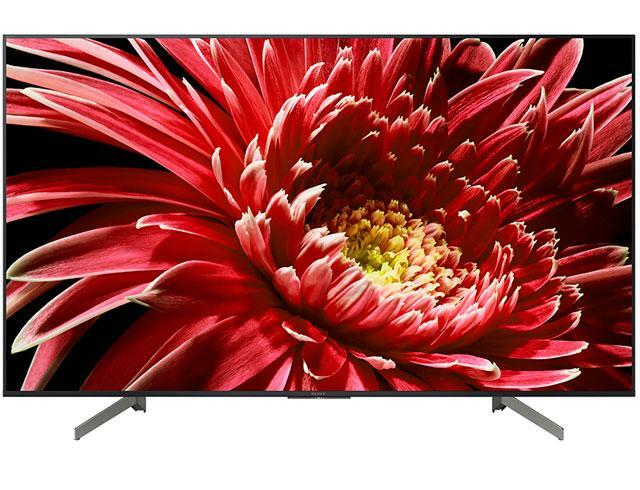 The KD65XG8505 is part of the 2019 Sony BRAVIA XG85 HDR LED 4K TV range. Supporting all HDR formats including HDR10 and HLG which are comparable to the HDR1000 and HDR1500 Standards. Built around the Android TV smart platform and powered by the X1 4K HDR processor this TV not only provides stunning picture quality but a vast selection of entertainment sources to match. Exclusive Sony 5 year guarantee is exactly that, direct with the manufacturer. This is not a shop guarantee and is exclusive to Sony independent specialist retailers. Purchase this television between the 01/04/19 - 30/04/19 and apply for 18 months interest free credit. terms apply. Select your finance option when adding your TV to your basket and continue through selecting the "Apply for 0% Online Finance" during checkout. For five generations of 4K UHD Sony has ruled the roost of picture, sound and build quality. The 2019 XG series builds on this further and now has one of the most attractive Smart platforms on the market. 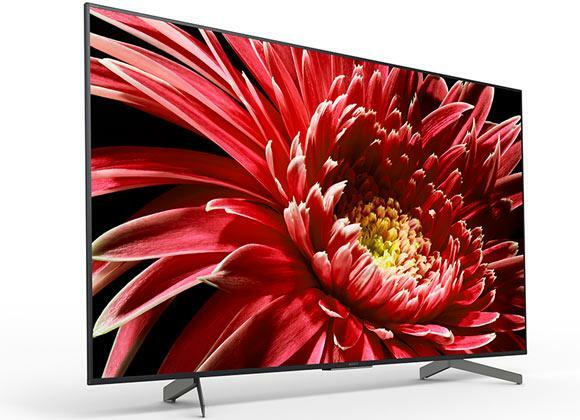 The Sony BRAVIA XG series maintains the same exceptional build quality as the 2018 XF series but builds upon the image quality with the X1 4K HDR Processor and the next generation TRILUMINOS display. Sound performance is not compromised and a cavity remains to ensure perfect acoustics for your living room. The Sony BRAVIA KD65XG8505 improves upon earlier generations of their LED TVs by now including Acoustic Multi-Audio which features improved speakers so the sound is even clearer and higher quality than ever before while still supporting HiRes Audio which encompasses all audio played back using higher sampling rates than those used in CD's closer to the original recording. 2 sound positioning tweeters have been added to the rear of the TV to simulate sound coming from different parts of the screen providing a much more immersive experience. With all this technology housed into one stunning unit, you want to make sure you get the longevity that you would expect from a Sony product. That is why this Sony BRAVIA KD65XG8505 4K TV comes with a full 5 years guarantee that covers parts, labour and even home visits. The X1 processor is the missing link from a good to an exceptional television experience. The X1 Processor analyses every signal received to the TV to understand what level of processing is required to the picture including noise reduction and Super Bit Mapping which smooths out gradients of colour to reduce the banding effect. So a RAW 4K Ultra HD signal will be handled differently to Netflix 4K signal to a Sky HD signal to a USB video signal. The Sony BRAVIA KD65XG8505 4K TV has Sony's fifth iteration of their TRILUMINOS display. TRILUMINOUS brings more lifelike colour and meaning vibrance and colour accuracy is greatly improved providing a brilliant image quality alongside benefits of 4K Ultra HD resolution. Taking the technology a step further is the Precision Colour Mapping process which enhances the blue shades of colour ensuring the full range of the colour gamut is produced. Sony has once again chosen Android TV operating system as its smart platform which includes one of the widest ranges of catch up and streaming services available on any TV in 2019. Anything from BBC iPlayer to Netflix or Amazon Prime Video is accessible from the TV directly providing a wide range of entertainment without the need of an external box. 4 x HDMI, 3 x USB, 1 x Optical out, 1 x Ethernet, 1 x RF Terrestrial, 2 x Satellite, 1 x component / composite hybrid connection. As Sony premium TV & Audio specialist we can offer you the best advice, installation and after care service than national retailers. Our installation service overs the whole of Greater Manchester and also many parts of Lancashire.